Korg, Blackstar Amps and Vox are launching "Rake in the Rebates" operations this Fall. Korg USA offers a fall rebate promotion on all models of the Kronos Music Workstation (excluding Kronos X), Wavedrum Mini Portable Percussion Synthesizer, Kaoss Pad Quad Dynamic Effects Processor, and Monotribe Analog Ribbon Station. The rebate period runs from October 1st 2012, through December 31st 2012, and applies to new products purchased by U.S. residents from an authorized Korg dealer in the USA. Full details and a downloadable rebate coupon can be found at: korg.com/Promotions. Blackstar offers a fall rebate promotion for the popular HT-1 combo amplifier, HT-1R + HT408 half stack, HT-5C combo amplifier, select HT Effects Pedals (HT-Delay/HT-Modulation/HT-Reverb), and the HTClub50 + HTV412A half stack. The rebate period runs from October 1st 2012, through December 31st 2012, and applies to new products purchased by U.S. residents from an authorized Blackstar dealer in the USA. Full details and a downloadable rebate coupon can be found at: www.blackstaramps.com/uspromotions. VOX Amplification announces a fall rebate promotion that includes the Night Train amplifier heads, the DelayLab multi-effect delay pedal, the Dynamic Looper pedal, and Tony Bruno designed VOX amplifiers. The rebate period runs from October 1st 2012, through December 31st 2012, and applies to qualifying new products purchased by U.S. residents from an authorized VOX dealer in the USA. Full details and a downloadable rebate coupon can be found at www.voxamps.com/us/promos. 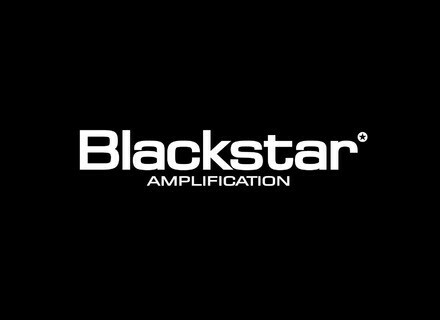 [NAMM] Blackstar Completes its ID Series Blackstar introduces two new ID Series combo amps, the ID:15TVP and ID:30TVP. [NAMM] Blackstar Gus G Blackfire 200 Signature Amp Based on Blackstar's Series One 200 amp design, this 200-watt, limited edition amplifier has been voiced in partnership with Gus G.
Blackstar HT-1 June Rebate Blackstar Amplification is currently offering consumer rebates on the HT-1 combo amplifier.